When granddaughters Ayden & Bella saw my Whimsical Kitty from my previous post, they each wanted one too, in polka dots! I will be using these along with the blue floral kitty on my e-pattern cover. I am also going to make a 'prim' whimsical kitty for the cover as well. Happy St. Patty's Day ~ tomorrow! I made corned beef and cabbage in my crock pot today for dinner. We loved the flavor of the cabbage and potatoes but neither Tom nor I were 'crazy' about the beef brisket. It's the first time we've ever eaten it, so maybe it's something you acquire a taste for? I cooked it on HIGH for 8 hrs. so it was pretty tender. We have another one in the freezer ( they were on sale! ) so I will be making it again. I like to watch Once Upon A Time and The Walking Dead on Sunday nights. I wanted to watch the 2 new shows Believe and Resurrection and wouldn't you know, they are both on the same time as Walking Dead. Good thing we have On Demand! 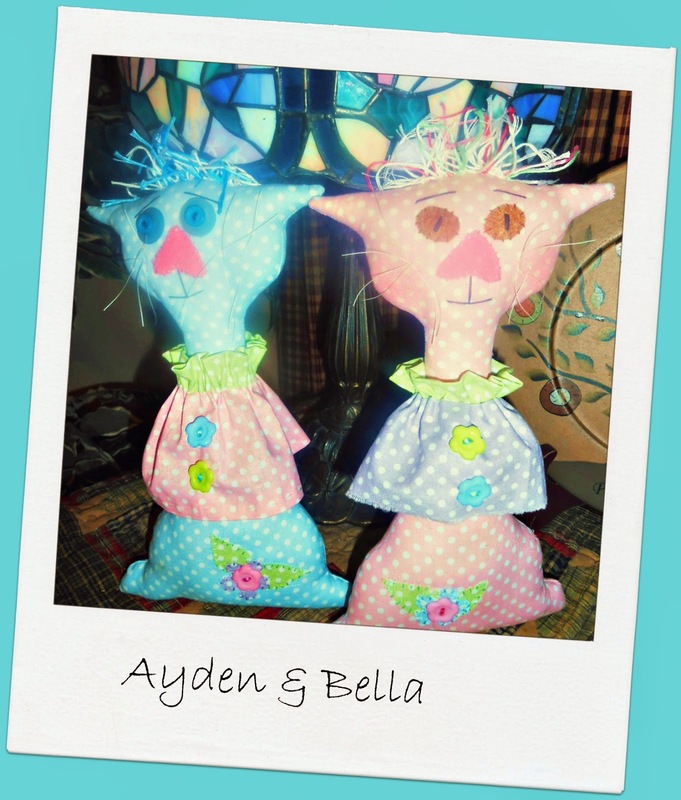 Those are so cute and fun, perfect easter kitties. Those are adorable! Great Easter colors. Love the kitties! Your polka dot kitties are adorable! And you are brave to watch The Walking Dead, that show scares the beejesus out of me!